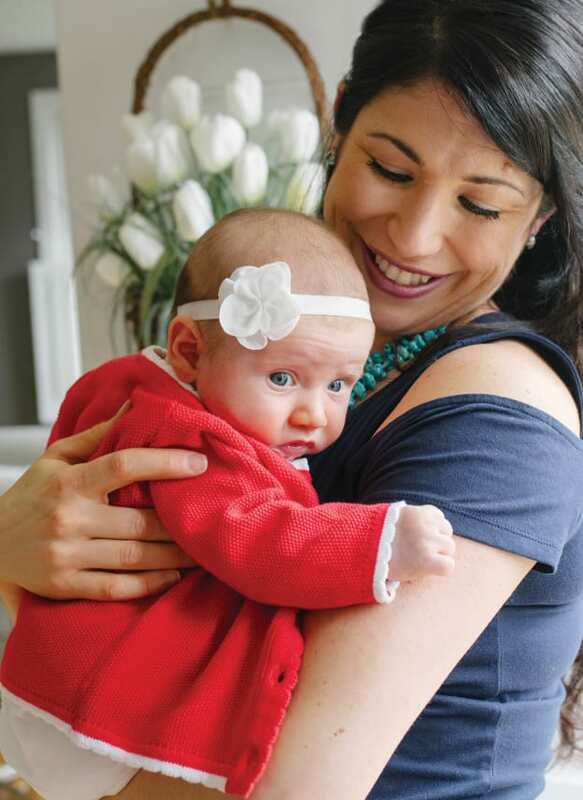 When it was time for Elizabeth Boyle to start planning a family with her husband Scott, it was important for her to find the right place to have her baby, and the best physician to bring her new child into the world. The decision where to have her baby was an easy one – having babies at The Birthplace has been somewhat of a family tradition. Boyle’s mom Annette Steinberg is a longtime employee of Lowell General Hospital, and her three nephews were born here. After a fairly normal pregnancy, Boyle felt well prepared when the time came. But, as with all births, sometimes labor can be long and intense, or sometimes very quick. Her little girl Summer? She decided to take her time. Boyle arrived at The Birthplace on a Monday, but ended up returning home to wait a little longer. When returning later that evening when labor was more advanced, the calming manner of the Labor and Delivery nurses, with Dr. Raju right there to explain the next steps, put her at ease. When her labor stalled for some time, she credits the expert communication between Dr. Raju and his colleague Dr. Maureen Cook for keeping her mentally prepared, even if she needed to have a C-Section. No matter what, she always knew her care team would keep her and her baby safe. “Dr. Cook had such a tremendous rapport with my nurse, and even when things seemed out of my control, my husband Scott was right there and everyone coached me on. That gave me such a great sense of calm,” says Boyle. And then Baby Summer arrived. Family-centered care is at the heart of The Birthplace, and everyone – the physicians, nurses, and support teams – make sure family members feel part of the experience before and after baby is born. Boyle also has high praise for the professional support, care and education she received after delivery. From swaddling to bathing to breastfeeding support, she was given the tools and resources to help her return home with her new bundle of joy.